Con/ sound with glossy smooth surfaces. 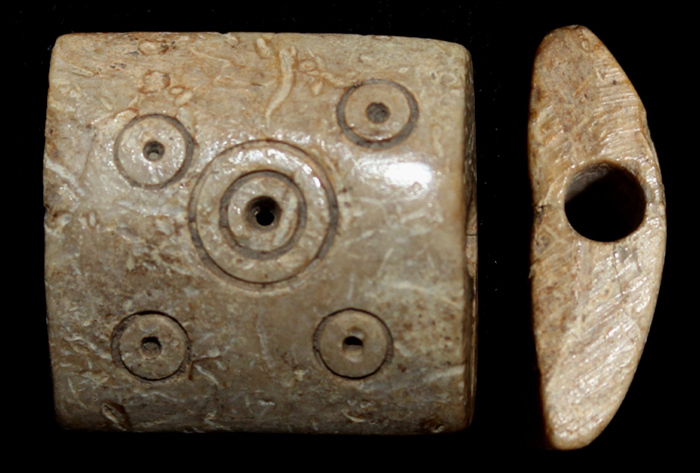 The 'circle and dot pattern' seen on this bead is a common motif found on Roman artifacts. The theory is that the symbols were for good luck...or just to thwart the "evil eye". Very rare as bone artifacts such as this one rarely survive nearly 2,000 years in the ground. 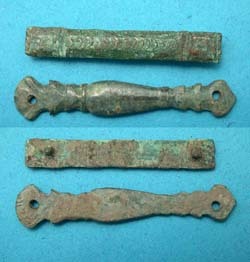 Most likely this bead was part of a necklace or bracelet.